Imagine that your old blog posts are the empty bottles and containers in the image above. You bought the products from the store and used them for your pleasure. After consuming their contents, it is time to dispose of the containers to the recycling plants. However, these containers can still be used to hold something. You can clean those glass jars to keep your homemade jam or spread. Sterile those tall bottles and you have a container for your water. The point is that there is still use for these containers. Instead of having someone else recycle the items for you, why don’t you recycle them yourself? Now, going back to your old blog posts, how can you re-use them to your convenience? There are not like containers that run out of content over time. The content remains there for as long as you maintain the post live. However, what they lose over time is efficacy. Ideas in old blog posts become outdated as new ideas roll in as presented by more recent blog posts. Therefore, old posts lose value and are good as disposable. Considering this factor, what you can do is repurpose the old content and raise back their value! To explain the entire concept of content repurposing below is an infographic by Cent Muruganandam that details the different tools to use and tactics to apply to your content marketing strategy. Including this process as part of your content marketing strategy will help benefit your blog. This plays as part of the S.M.A.R.T. goals developed by Michael Jenkins from Shout! 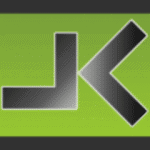 Social media company. How is content repurposing S.M.A.R.T.? Attainable – By making your content easier to find online by recreating them into different formats, there is a good chance that you can drive more traffic to your blog and convert them into clients or subscribers. Timely – You have the old blog post as the foundation to help develop your repurposed content. 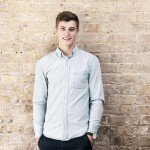 This makes it easier for you to build your new post. Now that we have this in place let us take a successful example of repurposing content based from an old one. CJG Digital Marketing Philippines published an article about visual content statistics that has garnered social shares. A couple of months after, the site repurposed the content from an article into an infographic. The interesting thing is that the infographic received more shares on social media than the old post! There was new nothing added to the infographic that the article did not have. It is probably because the site audience preferred visual content (which is coincidence) over-written posts. This example is why you should use content repurposing on your blog! By repurposing content, you increase the types of content on your blog. Some may prefer visual content, other like audio. Now that you have the proof, it is time to put this idea of content repurposing to the test. However, before you drive it into full gear, you need to observe a couple of things to make best with this tactic. At least that is what a study conducted by serpIQ found out when it gathered the average number of words of pages that rank on the first page of Google. Publishing content that is more than 2,000 words increases your chances of cracking into the first page of search results! This applies to your old blog posts that presented good ideas but were not as fleshed out. Long-form content connotes having chock full of ideas and lots actionable tips that readers can follow through after reading the whole thing. However, do not publish lengthy content just for the purpose of publishing it. That means no fluff words that are written so that you can break the 2,000-word barrier! Providing value and useful information in your content trumps all. If you feel that you have exhausted all ideas in your post and still fall short of 2,000 words, it is okay. The important thing is that you get to repurpose your old content into something much better! 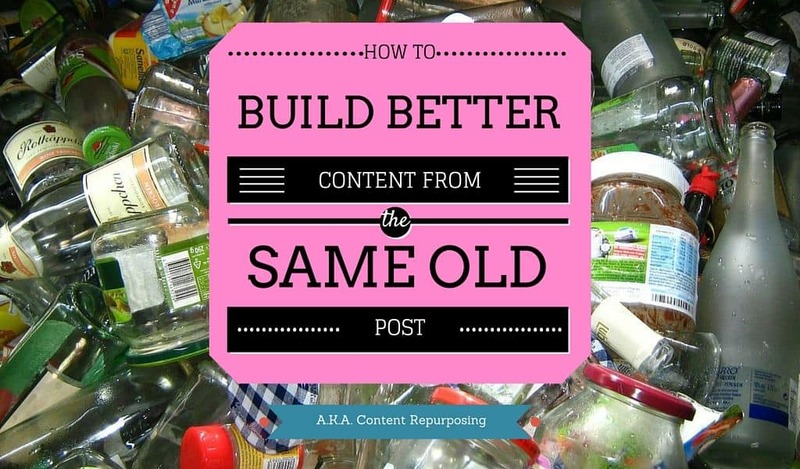 Here’s a fresh content repurposing idea that you can do for your old posts. If you have old posts that run a similar theme, you can repurpose them into an e-book. This is better because you can sell the e-book or use as a lead generation tool to encourage your visitors to subscribe to your mailing list. Before writing the e-book, make sure that you update the information first and rewrite certain parts to keep its content current and relevant. To put the icing on the cake, edit your old posts by including a link to the e-book so they can be directed to the landing page to buy or download the repurposed content. You can also use an opt-in box to direct visitors to that particular page in your site. As seen in the example above from CJG Digital Marketing Philippines, you can turn your content into an image. Even if you are not a designer, you can still create compelling photos, infographics, and presentations care of tools like Canva and Visme. Both allow you to drag and drop elements onto a canvas and save for publishing. Aside from publishing the visual content into a new post on your blog, you can update the old posts by including the image or infographic in there for good measure! Inform readers that you have created a visual content version of the post but with updated data and insights. This will give readers more incentive to go back to your old posts, especially if you promote them again on social media. Lastly, upload the visual content on image sites like Pinterest (for pictures) or Slideshare (for presentations). This falls in line with the idea of content repurposing as a way to broaden the online channels where the audience can find your content. Instead of just your content being found on your blog alone, repurposing your content allows it to be seen on other sites as well! For long-time bloggers, content repurposing is your solution to not only develop fresh content off old posts but also put your once-useless posts to good use once again! Following the tips above should give you a head start. Also, do not forget to integrate it as part of your content marketing strategy. This way, you can implement a focused content repurposing campaign that lets you bring value back to your old posts on a consistent basis.